The information presented on this page was originally released on April 27, 2012. It may not be outdated, but please search our site for more current information. If you plan to quote or reference this information in a publication, please check with the Extension specialist or author before proceeding. The U.S. Department of Agriculture estimated Mississippi growers will plant 1.75 million acres of soybeans, down just 4 percent from 2011. As of April 22, about 40 percent of the state’s soybean crop had been planted and 26 percent had emerged. These numbers are slightly above the five-year average of 34 percent planted and 16 percent emerged by this same time. Late April saw several nights of temperatures in the 40s and 50s, but there was no frost in the state. A bigger concern is recent windy days that have pulled needed moisture out of the soil. Anthony Bland, Extension Tunica County director, said his county got about an inch of scattered rain in late April, but areas are still dry. “We have a few areas in the northern portion of the county that are so dry that we’ll probably need another shower before we resume planting,” Bland said. 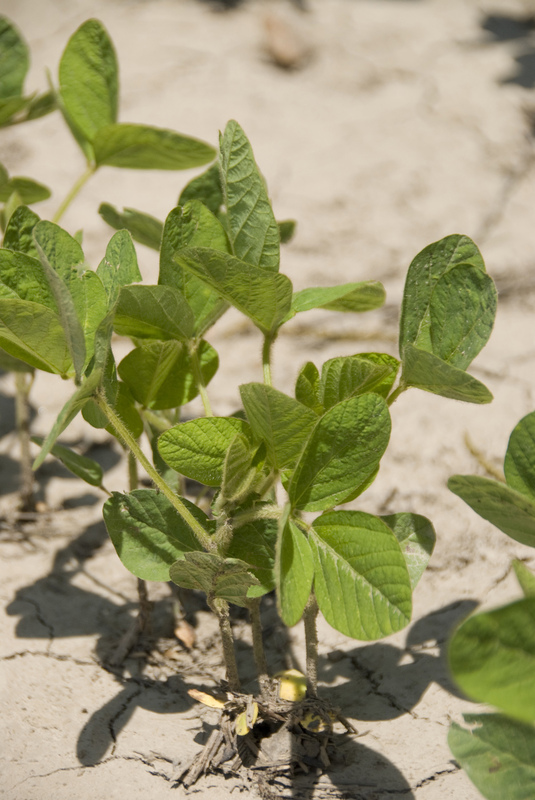 Despite dry soils, Bland estimated more than 80 percent of the county’s soybeans had been planted by the last week of April. Tunica County’s biggest crop is soybeans, and Bland said about 60 percent of the county’s estimated 120,000 acres of soybeans are irrigated. Planting soybeans early is a sound strategy for best harvest results. Good prices drove predictions of high soybean acreage. 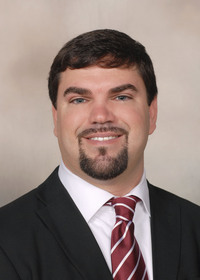 John Michael Riley, Extension agricultural economist, said current 2012 crop contract prices in the Delta are about $13.90 per bushel. September soybean futures prices are $14.11 per bushel, six cents above September futures prices last year.